Or the Sinking of J. Bruce Ismay, Frances Wilson, Harper. The page 1 headline of the April 16, 1912 edition of the New York Times read, in part: “Titanic Sinks Four Hours After Hitting Iceberg … Ismay Safe.” By the end of that day virtually everyone knew the name J. Bruce Ismay—owner of the Titanic and chairman of the White Star Line—who had jumped into a lifeboat filled with women and children and rowed to safety, leading the media to brand him a coward. “The first victim of an [international] press hate campaign, he never recovered from the damage to his reputation” and never spoke of his beloved ship again, notes author Frances Wilson. While the public has since revisited the Titanic disaster many times—in movies, books and documentaries—Wilson explores the tragedy from a new angle, that being the impact the accident had on Ismay’s post-Titanic existence. Beginning with an examination of how Ismay behaved and reacted as the Titanic went down, the author goes on to discuss Ismay’s relationship with his wife, his love for first-class passenger Marion Thayer (which apparently blossomed during the voyage), as well as the impact of the subsequent Senate and British Board of Trade Inquiries, in New York and London, respectively. Along the way, Wilson drives home the point that the Titanic was Ismay’s pride and passion, not to mention the culmination of his father’s ambition. “Ismay may have been less concerned that he had failed his passengers than that he had failed his father,” speculates Wilson. Interestingly, Ismay Sr. had presided over his own White Star line disaster in 1873, when steamship Atlantic ran out of coal and hit a rock, resulting in the loss of 250 lives. And presaging future difficulties with explaining what happened to the Titanic, it should be noted that his son Bruce fared poorly when managing a subsequent public relations crisis, which occurred when two White Star ships, the Celtic and Britannic, collided in foul weather while sailing to and from Liverpool. 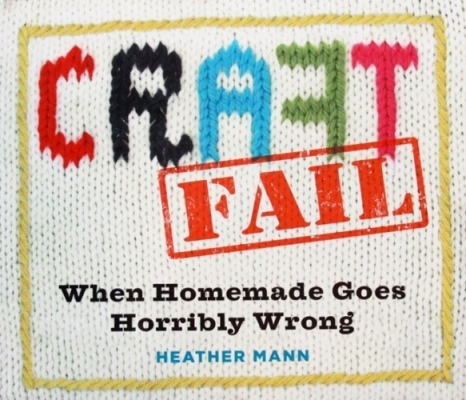 Craft Fail—When Homemade Goes Horribly Wrong, Heather Mann, Workman Publishing. The Eleventh Day—The Full Story of 9/11 and Osama Bin Laden. To Forgive Design—Understanding Failure, Henry Petroski, Belknap-Harvard.